PV Sindhu has a golden chance of finishing the year with a title as she entered the final of BWF World Tour Finals at Guangzhou, China for the second successive time. The Indian shuttler beat Ratchanok Intanon of Thailand 21-16, 25-23 in the semifinals on Saturday to reach the title round. The Olympic silver medallist got the better of the Thai shuttler in a mouth-watering semifinal on Saturday, beating her opponent in 54 minutes to reach the final. 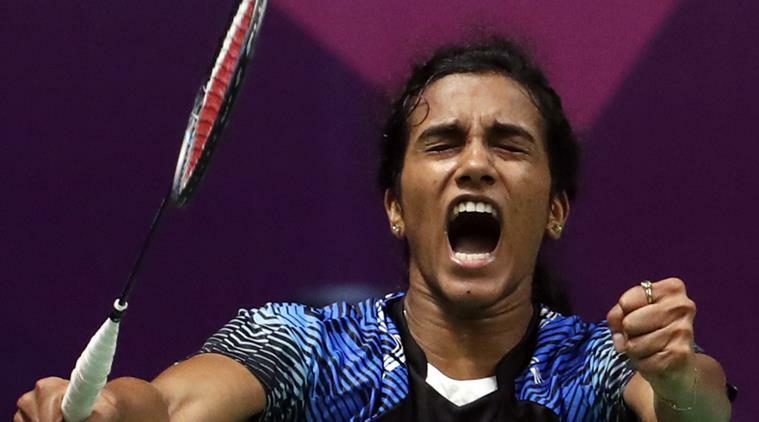 Sindhu, who has been unbeaten in the tournament so far, will now face Nozomi Okuhara of Japan on Sunday in the final in a repeat of last year’s BWF World Championships final. Sindhu and Intanon started on an equal note before the World No. 6 Sindhu went into the break with a two-point lead. Intanon came back to remove the advantage but unforced errors helped Sindhu stay ahead. Sindhu began the second game on a good note, winning the first four points but Intanon narrowed the lead to 5-6 before the two went into the break with the World No. 8 Intanon in the lead by one point. After the break, Sindhu took the lead before Intanon levelled the game at 18-18. The duo then took it to 19-19. The match reached its gripping point with Intanon moving to a game point advantage and Sindhu responding by cutting her opponent’s advantage before making it 21-21. Intanon, however, stumbled on two unforced errors to hand Sindhu the match point. Sindhu converted it with a smash from near the net following a fierce rally.